- AEGEAN EXPLORER - (12 Days/11 Nights) - 2 Nights Athens, 3 Nights Mykonos, 3 Nights Santorini & 5 Day Cruise. We visit two ports. Heraklion, (7:00 – 11:30am) and Santorini. Upon arrival to Santorini, (4:30pm), disembark and transfer to your hotel. 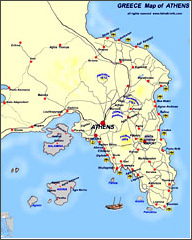 Transfer to the airport for your flight to Athens to connect to your international flight.